When on a weight management program, it is possible that you will not always consume enough fibre-rich foods. Fibre and herb is especially designed to aid safe and effective weight control, by providing an increased amount of dietary fibre which reduces the amount of time food stays in the body; and so assists in the removal of toxins and wastes. Herbalife Shapeworks Fibre and Herb tablets combine oat bran and selected herbs, which work together to help encourage the efficient elimination of wastes products from the food we eat. A ‘cleanser’ digestive system can function more effectively, and also help to ensure better absorption of essential nutrients from our food. For optimum performance, between 25 and 35 grams is recommended. At present, the amount consumed in the typical European diet is just 12-15 grams. One slice of wholemeal bread provides approximately 1.5 grams of fibre. How can Fibre and Herb tablets help? 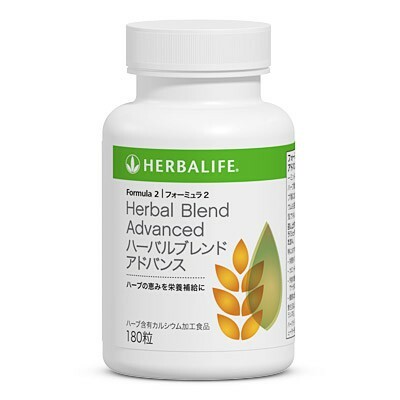 The unique blend of active fibre and specially selected herbs in the Herbalife Fibre and Herb tablets help top up the body’s requirements for fibre. Maintaining and adequate fibre intakes can assists the body’s potential to eliminate wastes locked away in fat deposits, and may help to prevent further build-ups of fat deposits. The added bonus of Herbalife Fibre and Herb tablets. When taken as part of weight control programme, Fibre and Herb tablets may help you to resist snacking between meals. 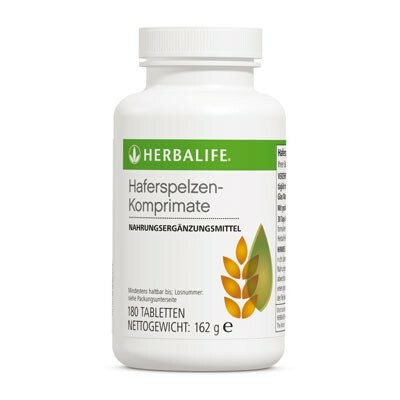 Each Herbalife Herb and Fibre tablet contains – 294 mg dietary fibre from Oat Fibre plus Mung Bean, Orange Blossom, Black Sesame Seed, Hibiscus, Chamomile, Mint, Fennel, Parsley and Papaya. oat fibre, calcium carbonate, starch, anticaking agents, black sesame seed, orange blossom, mung bean, hibiscus, chamomile, mint fennel seed, parsley, papaya and coating. 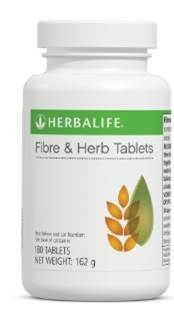 Two Herbalife Fibre and Herb tablets for digestive health to be taken with each meal, three times a day.